A Great Place to Play in Nature? Traditional park and playground design philosophies are evolving and shifting as researchers and designers have begun to see the results of past trends in risk management, safety, and design. These trends have led to static playgrounds with less than stellar play value, and infrequent patron trips. Modern design philosophies are now embracing the incorporation of plant life and other natural elements into play areas. At the core of this philosophical shift is the fact that nature is intrinsically dynamic and ever changing, and that the addition of these features to playgrounds introduces variety, change, and opportunities for creativity. 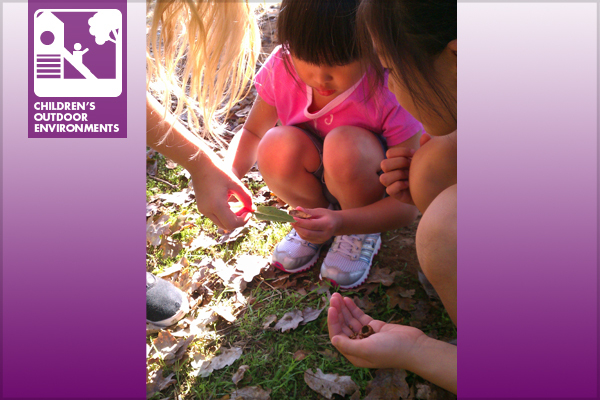 Until recently, the concepts of nature-based play were founded on observation and were weakly supported by research. However, supporting research is becoming more widely available. The following is an abstract for a research project conducted at Utah State University by Jeff Hamarstrom and Keith Christensen. The study investigated what elements are found in naturalized play spaces, what adult and teacher perceptions of these playgrounds are, and how natural elements are being used by children. The full thesis is available for review as well. Play is essential for children’s emotional, cognitive, social, physical, and educational development . The play environment can support these diverse needs in different ways [7, 3, 1]. The growing concern of parents and outdoor play researchers over the loss of interaction between children and nature has pushed designers toward creating play environments that are based more on natural elements than manufactured equipment [9, 11, 5, 4]. These playgrounds are often referred to as “natural” or “naturalized” and typically contain elements such as water, plants, flowers, hills, tree groves, weather stations, rock outcrops, and streambeds. They might also contain some of the typical manufactured play structures such as swings, multi-level structures, or climbing structures . While the elements being used might differ, all naturalized playgrounds promote the idea that natural elements are there to be a part of play and to be played with; they are not just there for aesthetic value.